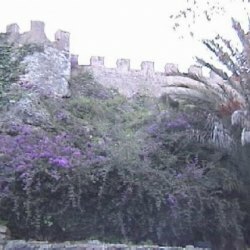 Please, send me more information about ref DMD1388 in Marbella or similar properties. 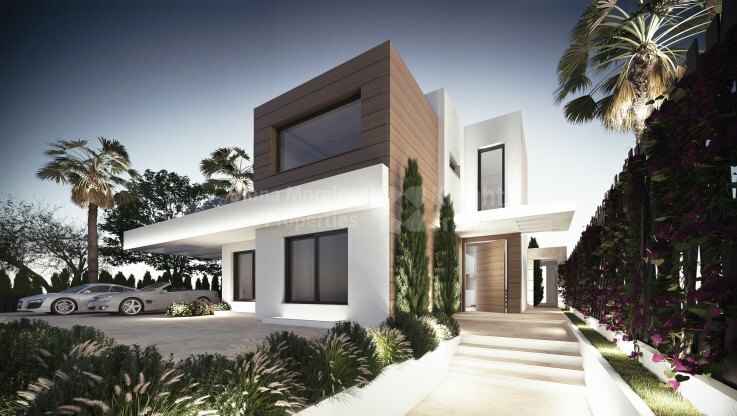 Villas located in Altos de Puente Romano, private and quiet urbanization with 24 hours security, heart of the Golden Mile, with direct access to the highway and very close to Marbella and Puerto Banus. Properties under construction that include innovative technological trends by installing the domotic system. The villas have 5-6 bedrooms and five bathrooms, kitchens equipped with the latest generation of furniture and appliances, large dressing room in master bedroom, private pool in the garden and swimming pool in the solarium that will enjoy breathtaking views. Other features of the houses are: large-format floors and oak floating flooring in master bedroom and dressing room, high-rise doors and stainless steel cranks, built-in wardrobes with solid and lined sheets, open-end dressing room with Furniture in varnished oak and Led lighting, external door in Iroko wood with staves and interior doors in black lacquered aluminium Cortizo, water accumulator, hydromassage bath and sanitary brand Villeroy Boch and Barhco, taps Hansgrohe. Air-conditioned with independent thermostat in each room and radiant floor throughout the house. Alarm system with video surveillance, domotic and sound system, 3 Wifi access points, fireplace in gas room, mini-pool in solarium with tropical wood top, outdoor shower. Closed community with automatic lighting and irrigation, maintenance and repair of outdoor facilities, security surveillance 24 hours with entrance barrier…..